FastTrack is a quick way for beginners to learn to play an instrument. These DVDs make the perfect companion to the successful method books and CDs – teaching you what you need to know to get playing right away, plus the fun stuff you want to know. 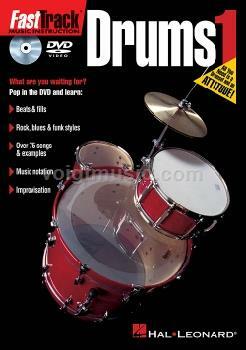 The drum DVD teaches music notation, riffs and licks, syncopation, rock, blues and funk styles, and improvisation.